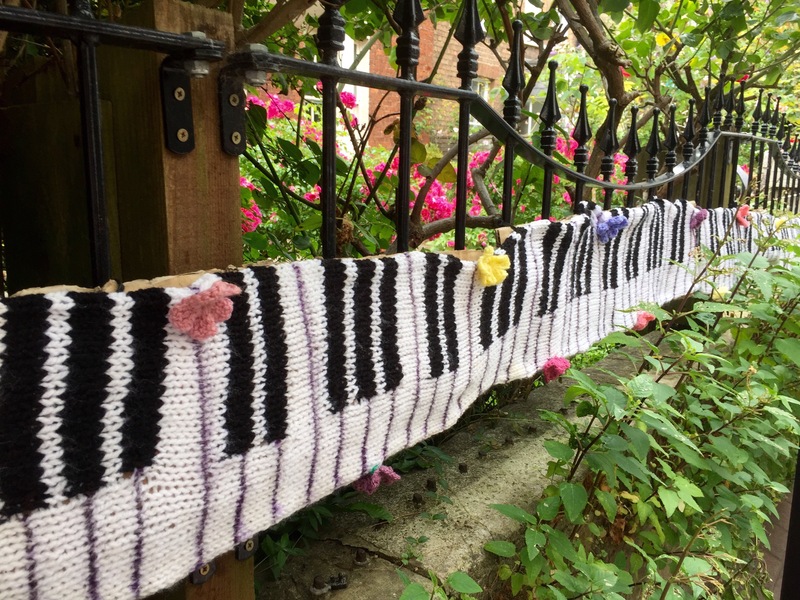 Yarn bombing, yarnbombing, yarn storming, guerrilla knitting, kniffiti, urban knitting or graffiti knitting is a type of graffiti or street art that employs colourful displays of knitted or crocheted yarn or fibre rather than paint or chalk. I think I need to get out more as of up until last Saturday I’d never even heard of it! 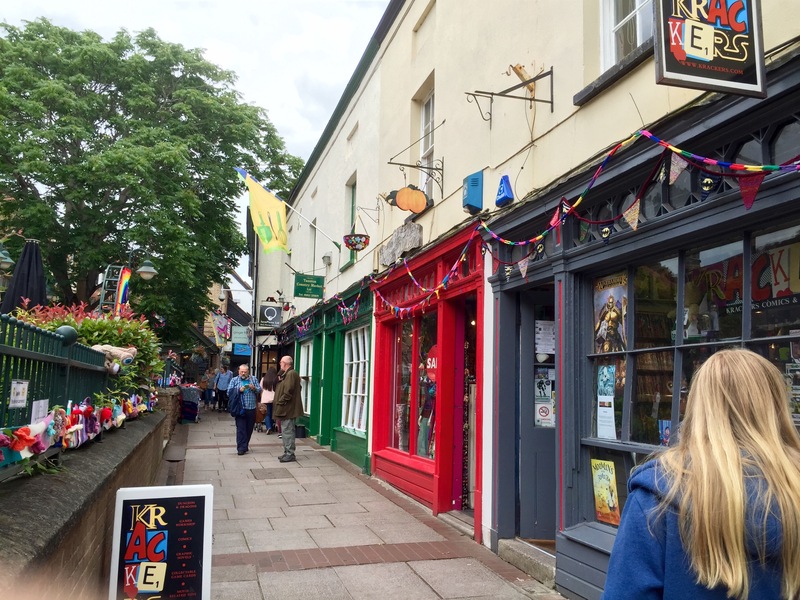 We were having a stroll around town before heading off home when we turned a corner and entered a small alley way. I was so excited! Everyehere i turned there was gob smacking creations! I wish I could take you there, but I’m afraid you’ll have to make do with photos, sorry! Stumbling across this alley gave a holiday our lovely happy ending. 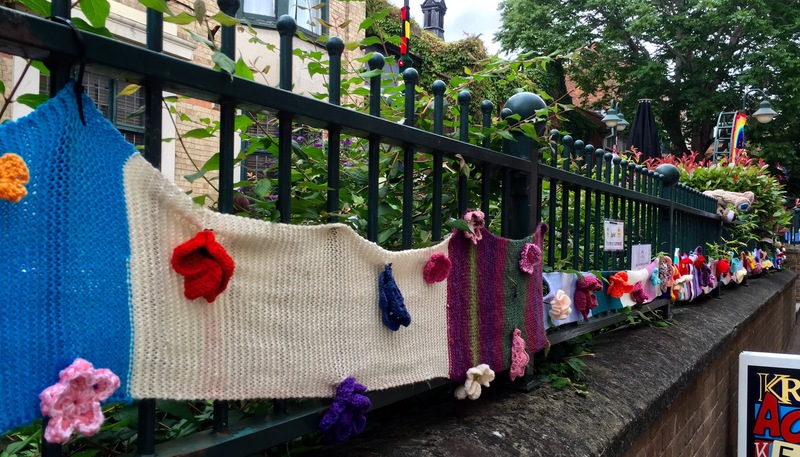 Have you heard of yarn bombing? 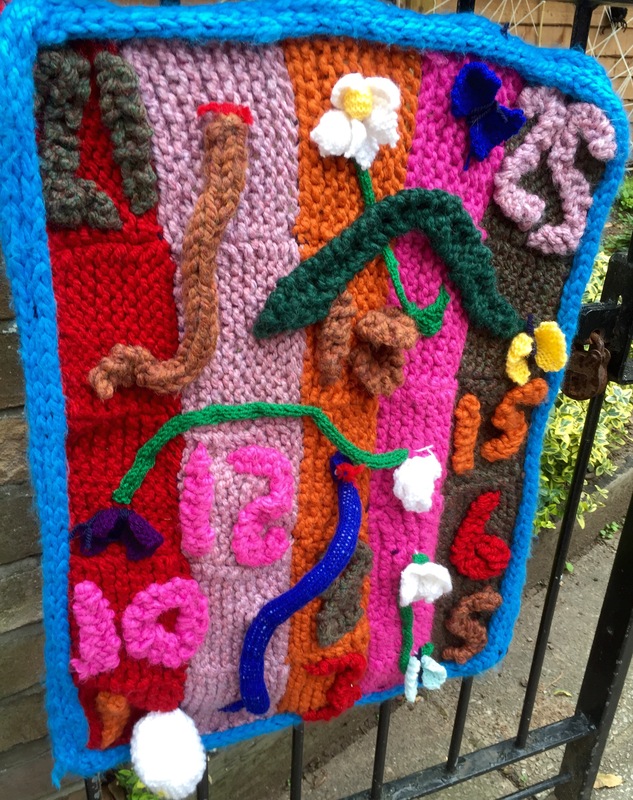 Can you share any links to any other places that have been yarn bombed?! Lovely! I first heard of yarn bombing when ‘a mystery knitter’ decorated Saltburn Pier in Teeside with Olympic themed knitting in 2012. This looks amazing! Did you get chance to join it at all? No 😟 I didn’t see it till an hour or so before we headed home. If I’d have known I would have out a little crocheted flower somewhere as digit my stuff with me on holiday. Amazing! Never heard of it. The bicycle is great. I remember reading it now (dreadful memory!) and have read it again, thanks for the link! Are you going again this year? I don’t think so as the girls I went with last time can’t make it and it’s a long lonely journey on my own. Although three evenings sat on my own in a B&B crocheting does sound rather appealing…. Don’t know if we have anything like it over here….but I’ll look it up. Tialys, was that a wheelchair athlete in the link? (Made me a little misty) And Yarndale? That was amazing. Ali, my favorite, if there can really be just one, are those piano keys and scale. Such talent! Yes Jen- how great was that? 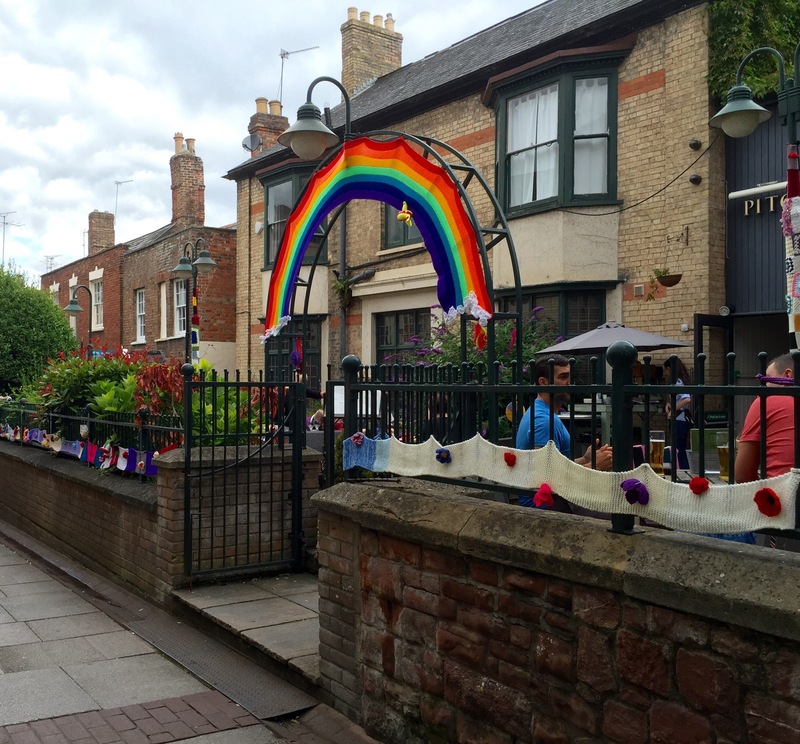 I’ve seen yarn bombing before too, and it’s like opening up a present, it just feels so exciting and brightens up the street. 😀 These are super cool pics, thanks for sharing!! You’re welcome Abigail! It was exciting when I just stumbled across this little street! Thank goodness for camera phones! Brilliant! Isn’t it fab to find something so cheery when you’re least expecting it! 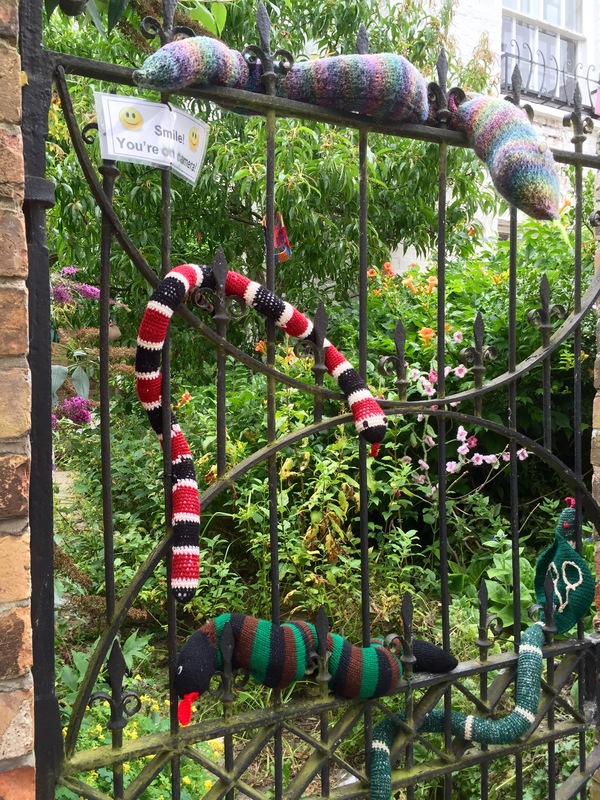 Not sure when I first heard of yarn bombing. A friend of mine bombs the statues in their village every year. I did google but couldn’t find any references to it. Love the swimmers on Tialys link above! Sorry, also meant to say your pics are fab, but got so side tracked looking at that Olympics knitting book I forgot about the post! Bet your girls would love it in their bedroom! 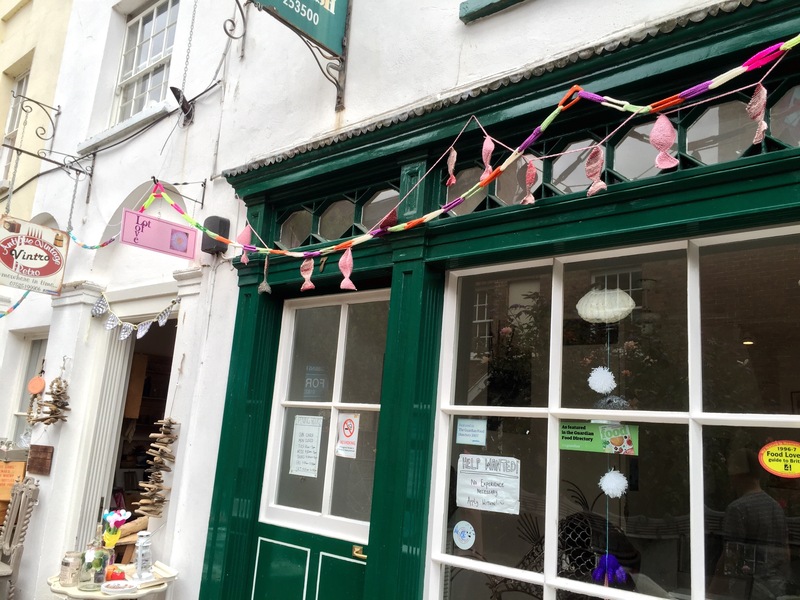 Oh that’s excellent, I’m a big fun of yarnbombing, would like to actually do it once. I found some when I was on Luxembourg, a couple of years ago, a couple of pics at the bottom (https://delightfullypeculiar.wordpress.com/2013/11/11/fashion-abroad-window-shopping-in-luxembourg-france-again/) and then in Moscow, but I never blogged about that! It’s the most colourful, happy and peaceful activism ever. I’ve heard the phrase yarn bombing but wasn,’t sure what it meant. It looks fantastic very creative the bike is amazing. It’s fab isn’t it! Must take some planning to pull off something like this. 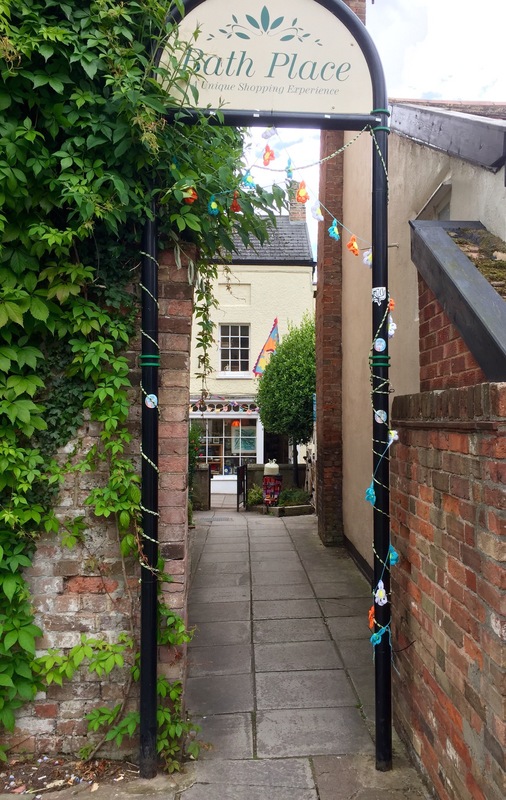 Yes, have read & seen it on the web – your alley is yarn-tastic! For making soup stock? As in just dissolve in a cuppa hot water? If that’s what you mean yes. Hm. Wouldn’t know your pricing, as I suspect it would depend on location & store brand there, as it does here. Also, her location over here would make a difference as cost-of-living (COL) changes across regions & even within. For example, Northern Virginia (VA) is at the top of COL because it’s so close to DC. But western & southern VA (toward the North Carolina border) have a lower COL. If she’s near a Trader Joe’s, they have less expensive products, but she should read ingredients carefully wherever she shops! Manufacturers are very sneaky about substituting water or cheaper “flavouring” for the real thing! Wow! There’s some yarnbombing now and then in Stockholm, but usually just a few small pieces here and there looking a bit sad. I was never a big fan. But his is FANTASTIC! I totally understand that it shouldn’t be done by one or two people, it takes a massive group effort to make it this beautiful! Thanks for sharing. These are spectacular. 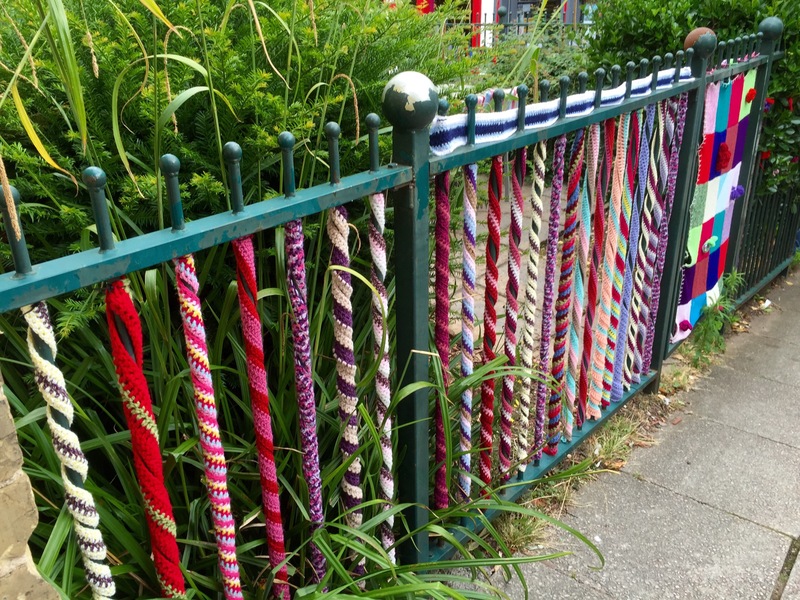 I first heard of yarn bombing in 2011. I have done a few posts about it and even done a couple of tiny ones myself! 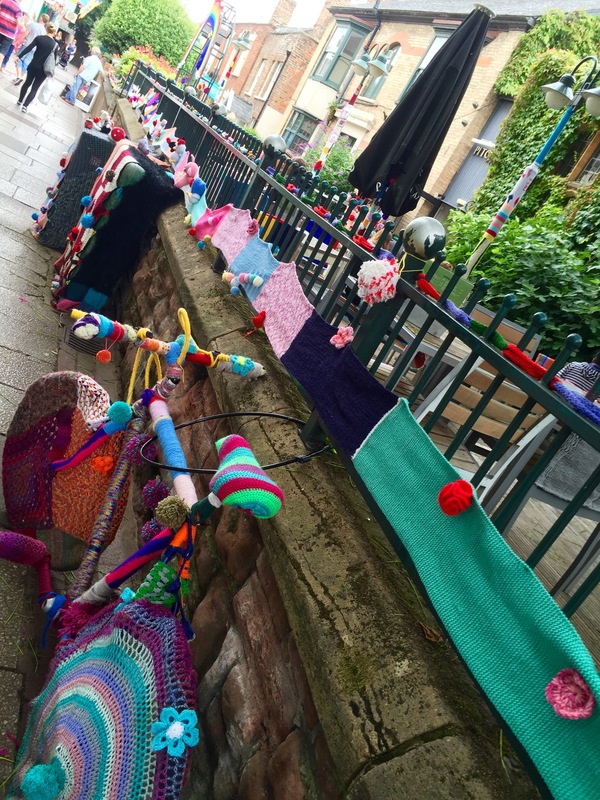 Liverpool has had some amazing ones thanks to the Merseyside Yarnstormers! Who knew? 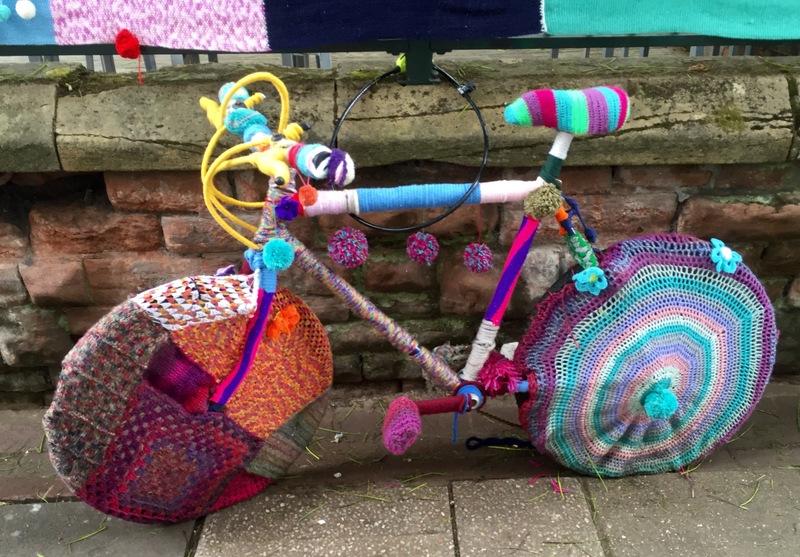 There is an International Yarn Bomb Day! And I found this article on a Brooklyn artist and his yarn work in the wilderness. Fascinating! Hope the link works? It’s Newsweek, The Art of the Yarn Bomb Outdoors March 8, 2015. The link works, thankyou! 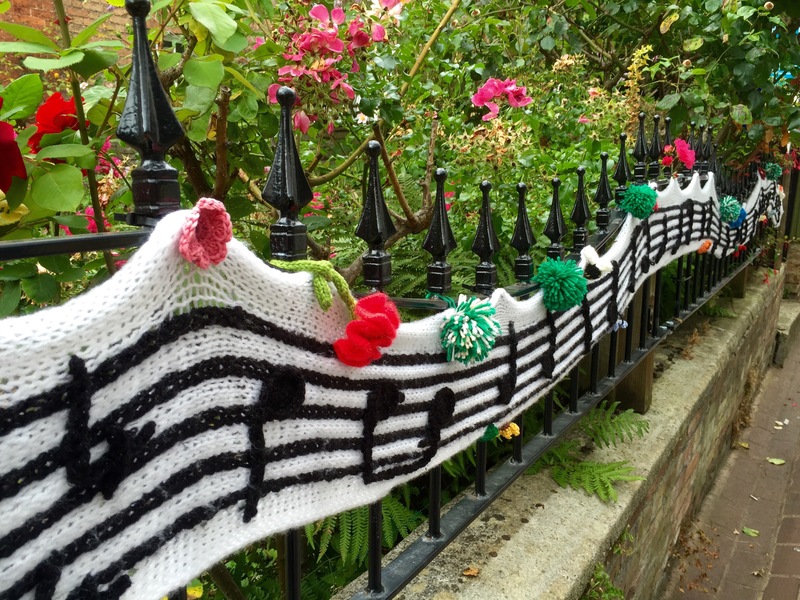 How cool are those photos – very professional looking yarn bombing! Beautiful! In Richland, WA, (one town over from mine), they organized a tree yarnbombing in the park last fall. Individuals and groups signed up and were assigned a tree, then people voted on the best ones. So fun! Cool! 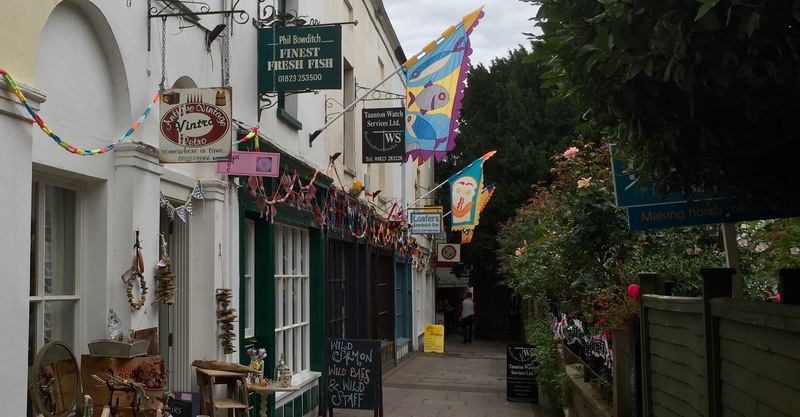 I can’t believe I’d not come across it before in real life – it’s everywhere! I hope they do it near me in the future!